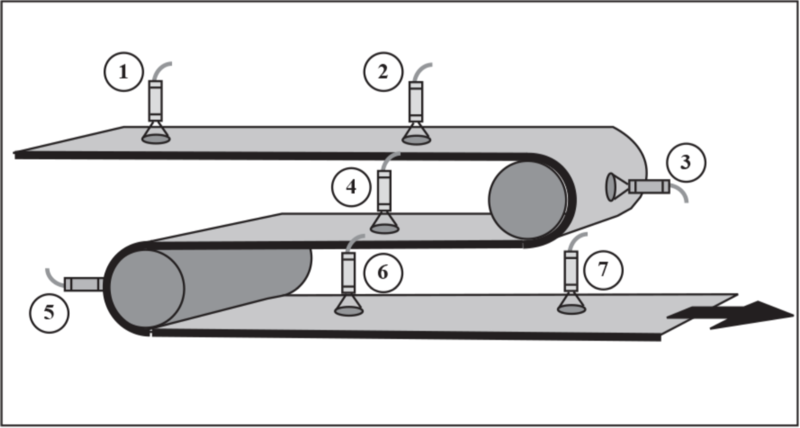 For many types of continuous web production processing, such as paper, printing, photographic film, textiles, etc., an important parameter for quality and throughput rate is knowledge of the point at which “dry-out” occurs. More important even than the absolute temperature, the location of this point provides a highly precise indication of the rate of heat input into the product, and allows direct control of the energy input to force the dry-out point to a specific spot in the drying process. The IRt/c is particularly well suited to this application due to its small size, low cost, outstanding speed, hermetically sealed construction, and its intrinsically safe character. 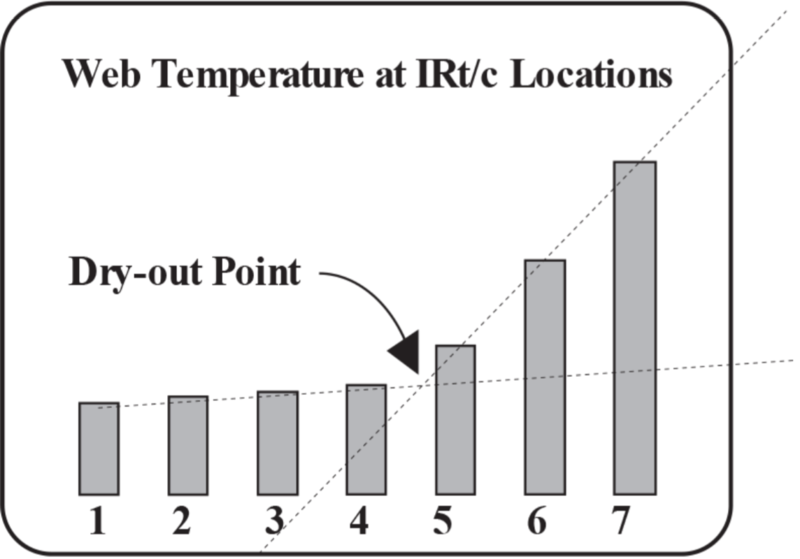 Connected to inexpensive multi-channel thermocouple input cards for PLC’s or computers, the dryout point is easily calculated by the intersection of the slopes of the temperature vs. position data provided by the IRt/c’s.